By the end of the summer, there will be a new national leader when it comes to fuel choice in our country, the state of South Dakota. The new momentum all started this winter during the legislative session in Pierre, with House Bill 1192, legislation led by Representative Mitch Fargen, which created a $1 million grant program designed to establish additional blender pumps in South Dakota, awarding $10,000 per blender pump to station owners who applied for the grant. Financing for the grant comes from stimulus dollars that were allocated to South Dakota through the American Recovery and Reinvestment Act. “This federal stimulus money will do exactly that, stimulate the rural economy and local hometown businesses,” said Rep. Fargen. The grant resulted in 100 new blender pumps at 49 fueling stations across 40 South Dakota communities. “Adding another 100 blender pumps to South Dakota’s economy will show dividends in many smaller communities,” added Fargen. By the end of this project, South Dakota will have 90 blender pumps installed throughout the state, providing South Dakotans and travelers with additional choices at the pump. This is up from the previous number of 42 locations as of June 1, which put South Dakota seven locations behind the leading state, Minnesota. This additional blender pump infrastructure builds off of previous progress made possible by the South Dakota Corn Utilization Council’s leadership in establishing the nation’s first blender pump incentive program in 2008. The SDCUC pioneered that grant program which lead to 45 new blender pumps being installed throughout South Dakota. Fargen credits multiple organizations to the program’s success. “We continue to be impressed by the excellent leadership that Rep. Mitch Fargen has shown,” said Teddi Mueller, legislative and industry affairs director for the South Dakota Corn Growers Association. 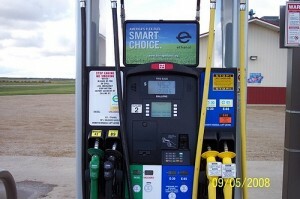 The following is a list of all the communities benefitting from ethanol blender pump grants: Aberdeen, Arlington, Baltic, Black Hawk, Brookings, Chamberlain, Chancellor, Corsica, Faulkton, Flandreau, Fort Pierre, Frederick, Freeman, Garretson, Gregory, Hoven, Howard, Huron, Ipswich, Kennebec, Lake Preston, Lennox, Leola, Menno, Mitchell, Mobridge, Onida, Parker, Philip, Redfield, Rosholt, Sioux Falls, Sisseton, Tripp, Tyndall, Warner, Wessington, Wessington Springs, Woonsocket, and Yankton. Corn ethanol is an economic fuel that is grown and harvested by local family farmers, produced by locally owned ethanol plants and purchased by consumers traveling in our state. 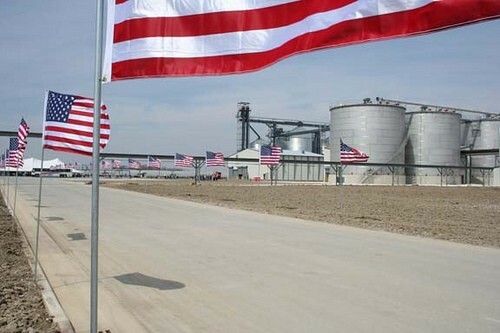 Ethanol provides thousands of jobs while keeping dollars local, not to mention its environmental benefits being a renewable fuel that burns 52 percent cleaner than conventional gasoline. This entry was posted in Education and tagged corn, ethanol, Mitch Fargen, South Dakota Corn.